Imre Mark Petkov is from Hungary, but has lived in Denmark for a long time now. In the beginning, Imre was very active within theater and performance and in 2012 his team won TeaterBattle arranged by the theatre Mungo Park with their performance Retrograd. Since, Imre has graduated from the Bachelor’s programme Art and Technology in 2014, and is now studying at the Master’s programme Lighting Design, both programmes offered by Aalborg University. 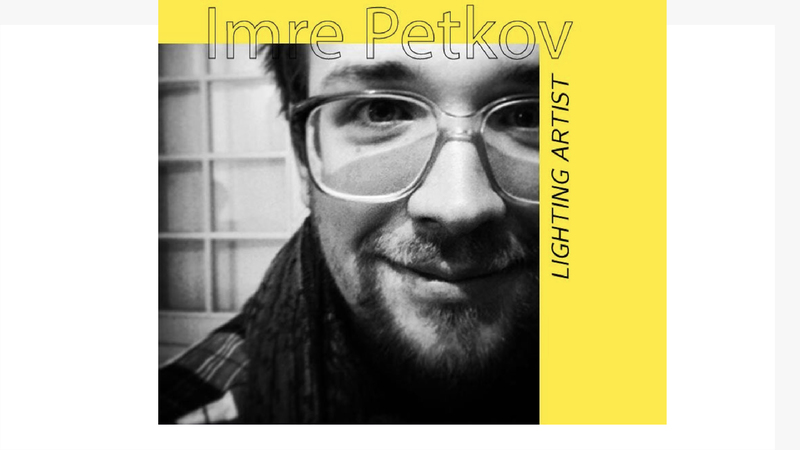 Imre’s work primarily focuses on interactive, site-specific light installations. Imre is the second half of the artist and design duo Studio Lindkov, which has developed, designed and build the light installation Solar Solids that can be experienced by Kulturværftet from the 27th of march 2019. During the fall of 2018, Imre was an intern at Catch. Now, he is currently at Catch as part of his work on the light installation Solar Solids.